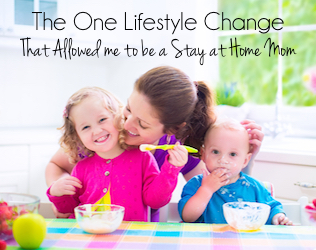 A couple weeks ago I wrote about the lifestyle change our family made which allowed me to be a stay at home mom: meal planning. 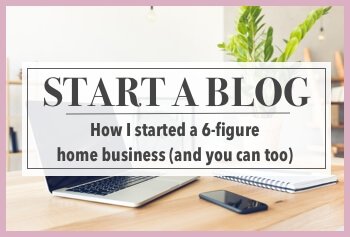 The response was overwhelming– so many fellow moms let me know (through my site, BlogHer profile, Pinterest) that our savings inspired them, or offered tips for saving even more. Over and over I was told: try couponing! 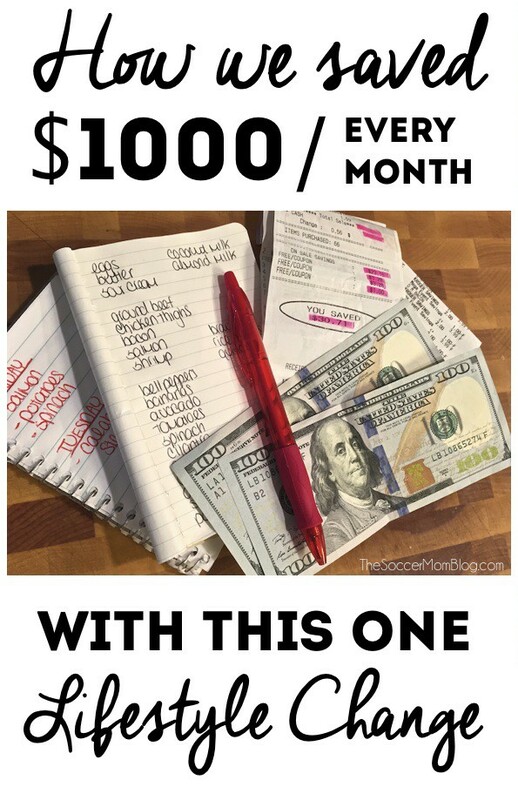 I’ve never really bothered with couponing– of course I’ve seen the shows with extreme examples of grocery shopping trips that end up being free, but in real life, it seemed like a lot of work for what would likely only amount to a couple bucks savings. However, hearing that so many of you have had great success with coupons, my curiosity was piqued. So I decided to do an experiment to find out if couponing really would save us money. We would continue to shop at the same stores as before. We would continue to buy the same products as always. We would not buy items we do not normally use or need just because they were free or cheap. 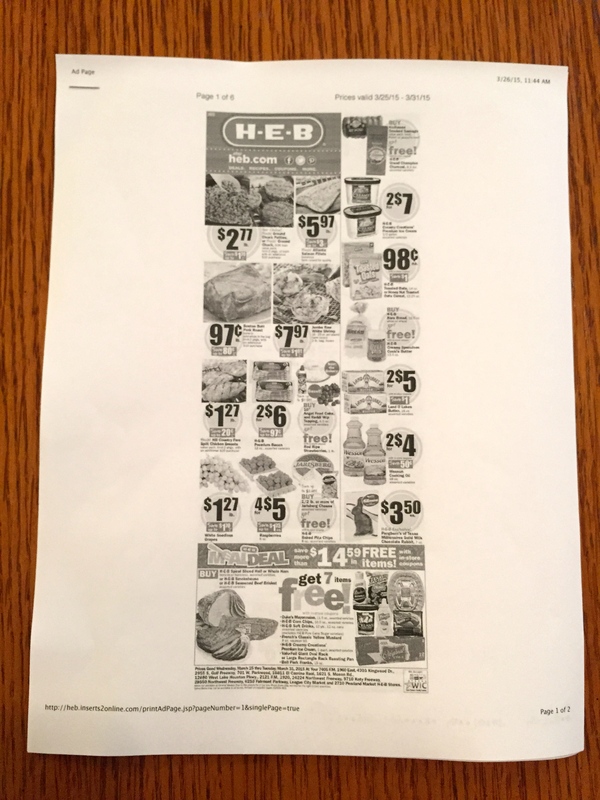 Next, I printed the store’s weekly ad. I went through and circled items we buy frequently that were marked down to a special price. 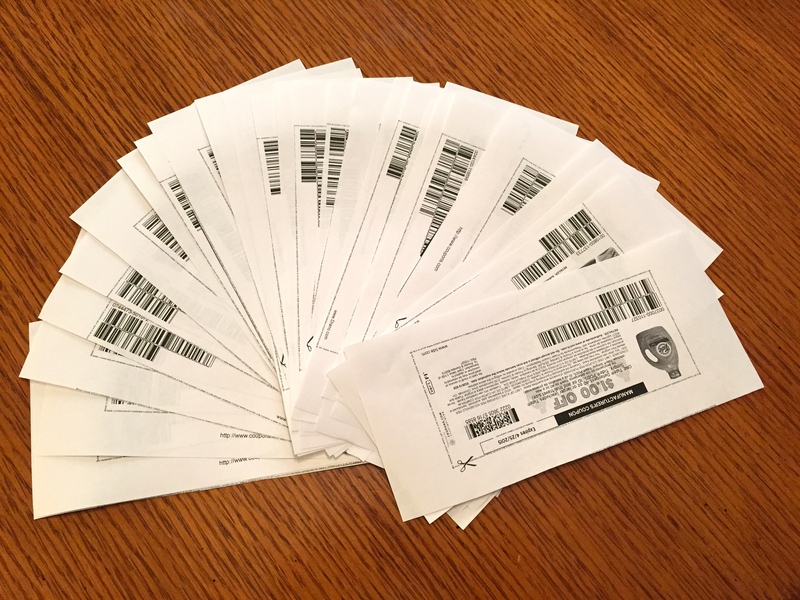 There were a few that could be combined with coupons I had printed for extra savings. This particular store offers a lot of buy-one, get-one deals, but most of these are for processed food we don’t eat and therefore won’t be of use. 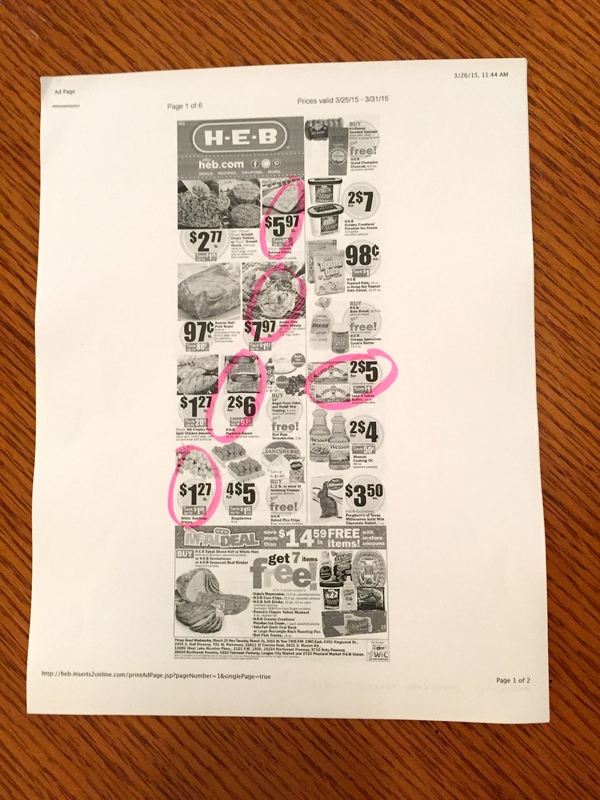 The last step will be to go through hubby’s shopping list (which he usually does on Sunday evenings) and note which items have a coupon or are on special in the weekly ad. 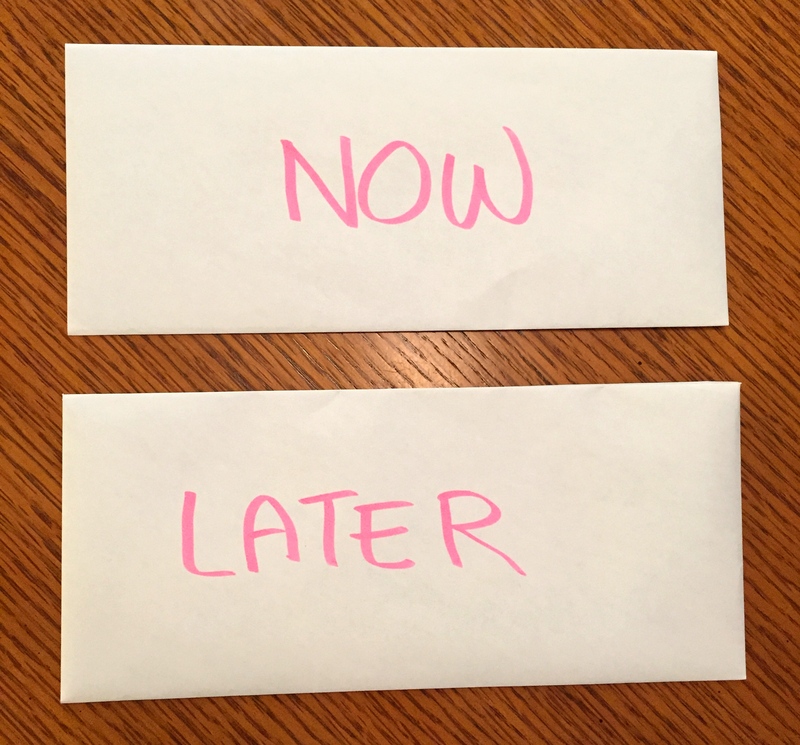 Since coupons for next week’s trip will also be ready at hand in the “Now” envelope, hopefully this will be a foolproof system. Last week’s shopping bill was $200 exactly (plus a few cents), and we didn’t make any unusual purchases. This will make it easy to see just how much can be saved from doing nothing but buying what we need, to adding coupons to our program. 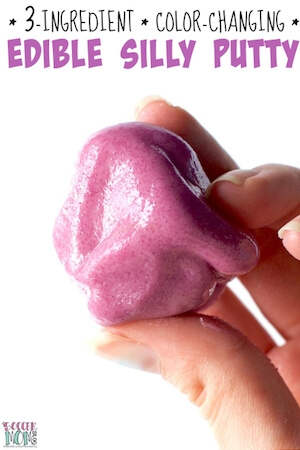 I’ll stick with the experiment for a month (longer if it is found to be worthwhile!) to be able to note spending and saving patterns. 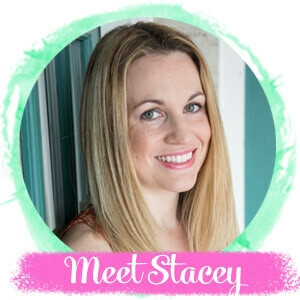 Stay tuned for next week’s update, and feel free to let me know if you have any suggestions for other places to find coupons or savings– after all, I’m a true couponing rookie!